The Sunday Salon: Home Edition [4.28.13] – my books. my life. Yesterday, we celebrated our one year anniversary in our house. To celebrate, I thought I’d show some of the big changes we’ve made in the last year. I know I’ve shared some of these before, so I’ll be brief. I just thought this might be a fun Sunday post today. I talked about the nursery previously, so if you want to see more pictures, you can go here. But the after picture is what it actually looks like today, after we’ve been using it for 11 months. I did a whole post on this, too, and this one angle doesn’t show off all of the room’s cool features (like the teal wall and the color-coded bookshelves). But it does show some of the big changes. 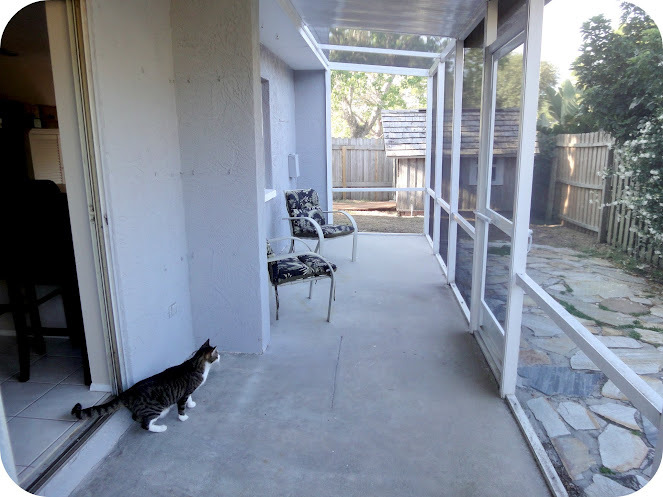 The before and after shots are from opposite ends of the lanai, but I think that angle works best to see everything now. We just made these changes this week, and I am thrilled to finally be able to sit out there. Big changes here were the rug and the couches. We also swapped out the coffee table for this ottoman while we have an unsteady baby. It feels a lot cozier. 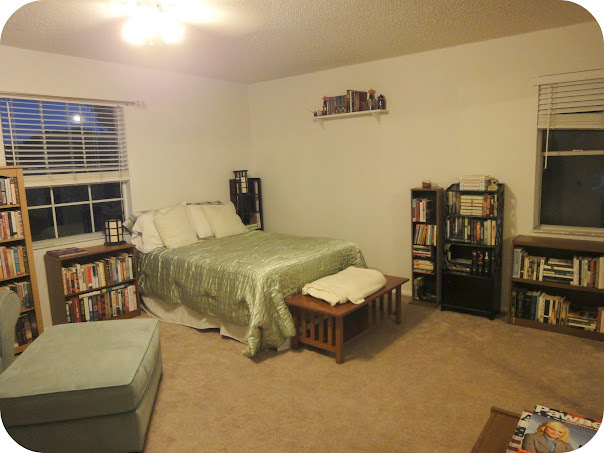 One room that is conspicuously absent from this post is our own bedroom. I am hoping that by this time next year, I’ll have something to show you there. We have done a lot more around the house to make it our own and I don’t have time to show you every picture frame we added or doorknob we swapped out. 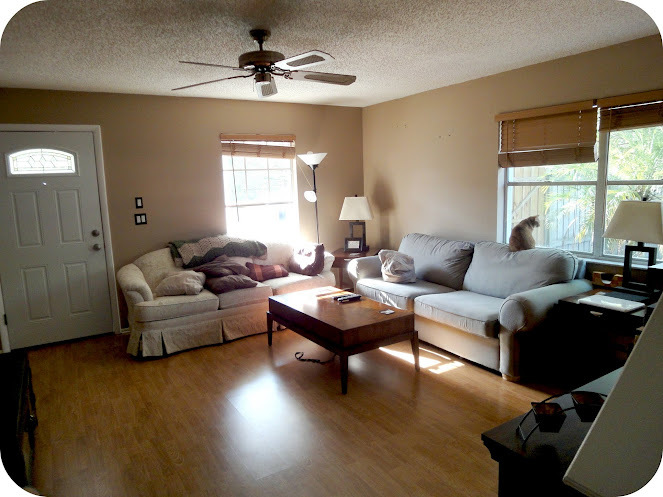 But after a year in our house, I love it even more that I did when we bought it. We’ve really made it out own and it makes me happy to look around. We have lived in our house for 13 years and STILL are doing things to it, so I think the progress you have made is amazing! It is such a warm happy house you have made. We are about 95% finished with our nursery, which is good because baby girl is due any day now! It’s fun to do a little at a time. 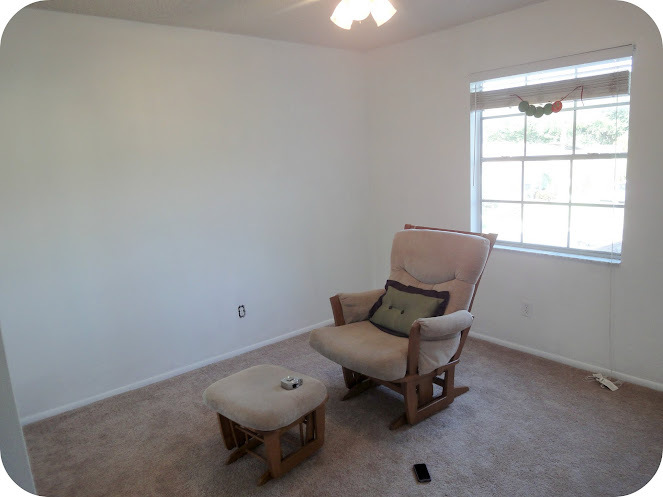 I love the seating arrangement you settled on in the living room. Much more cozy and functional. Pingback: Page not found | my books. my life.